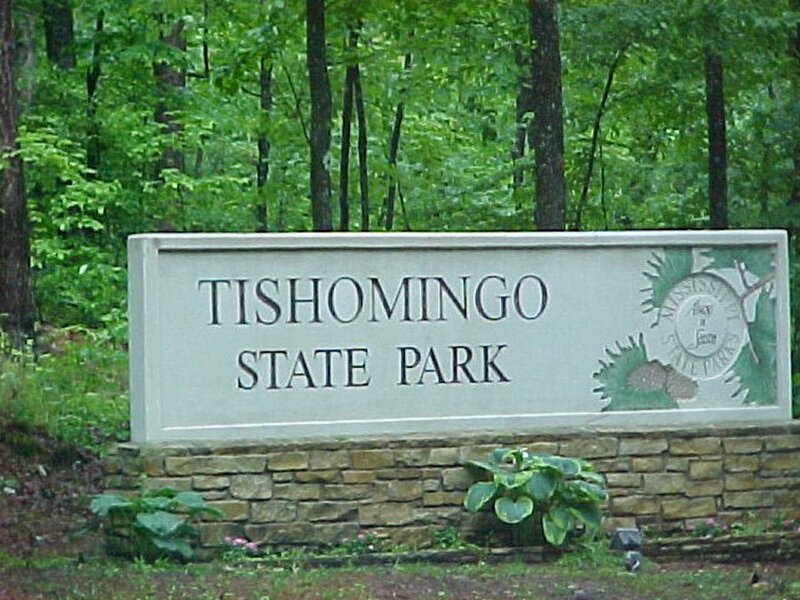 We stayed three nights in Tishomingo State Park, and on the second day we took the truck and went north on the Trace to check out some of the exhibits. 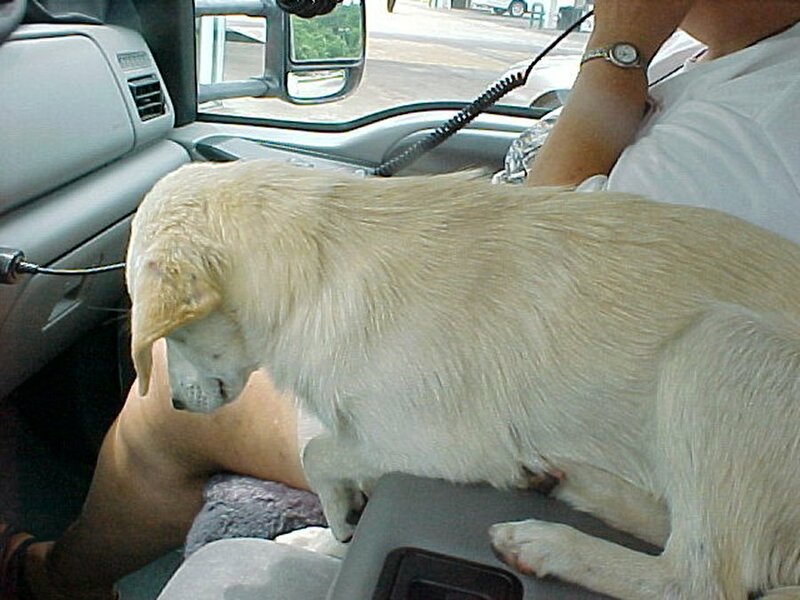 We found this cute puppy crotched in the weeds along side the road in the middle of nowhere. So We picked her up, removed a gizillion ticks from her and dropped her off at an animal shelter in Tuscumbia, Alabama. 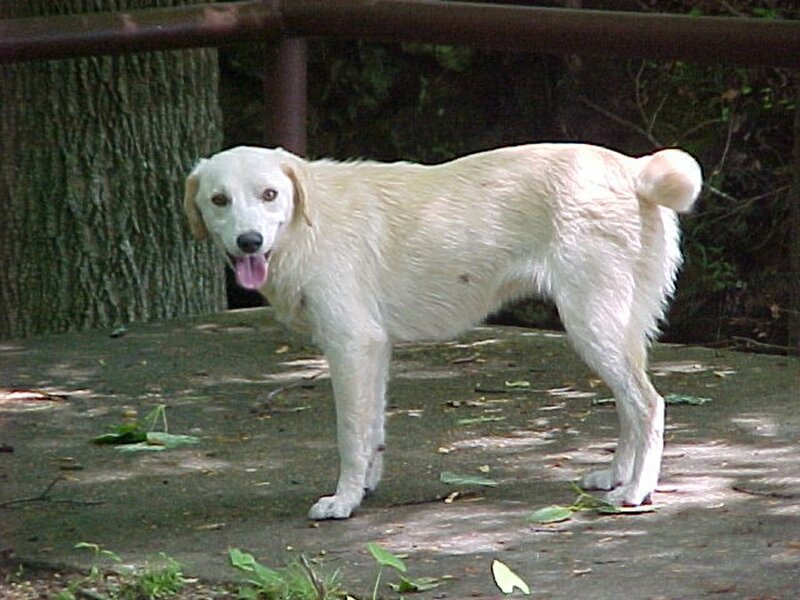 She seemed like a well mannered pup, but we agreed not to keep her as Sampson (Nancy's cat)doesn't like puppies. 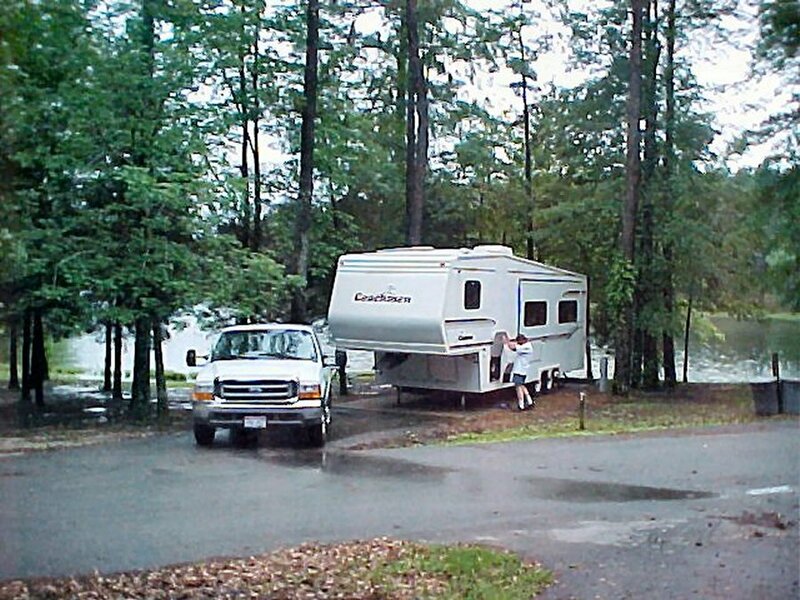 The next day it started raining as we left Tishomingo State Park and continued on down the Natchez Trace Parkway. 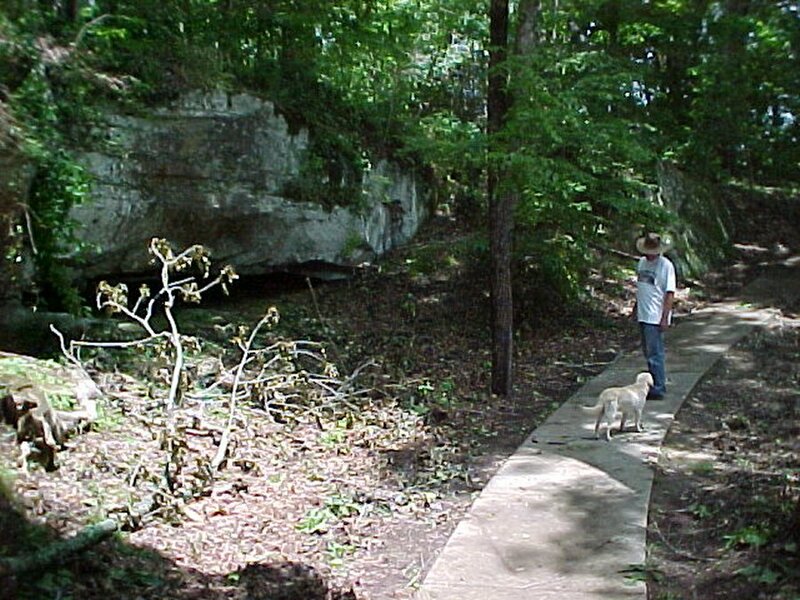 Pharr Mounds is the largest and most important archaeological site in northern Mississippi. 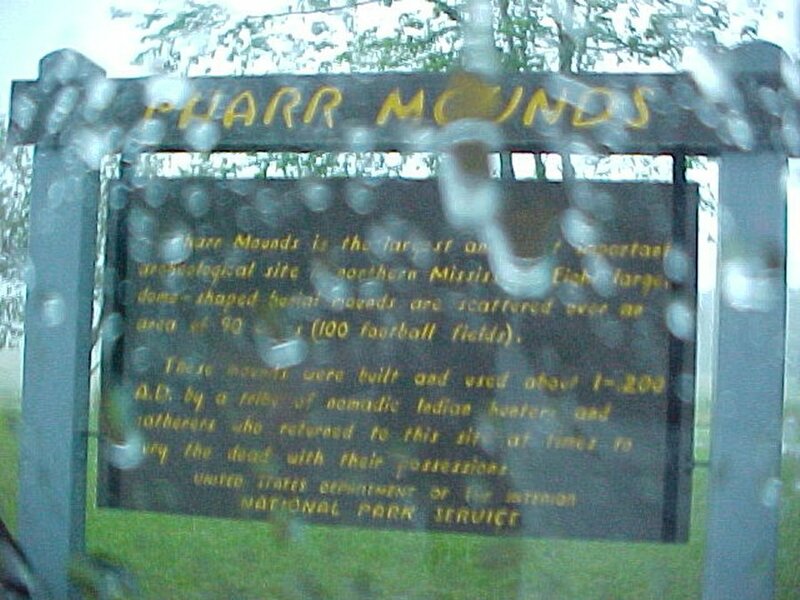 Eight large dome shaped burial mounds are scattered over an area of 90 acres (100 football fields). 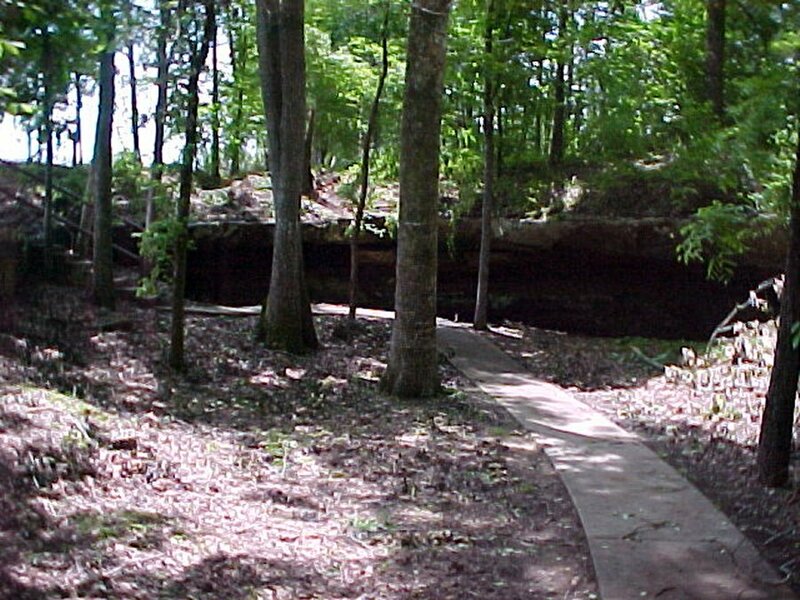 These mounds were built and used about 100-1200 A.D. by a tribe of nomadic Indian hunters and gatherers who returned to this site at times to bury their dead with their possessions. Picture thru the window raining cats and dogs. Panoramic view from north to south. It finally cleared up some. There are 8 or 9 mounds here 2 to 50 high. the Tenn-Tom is unique in the world. 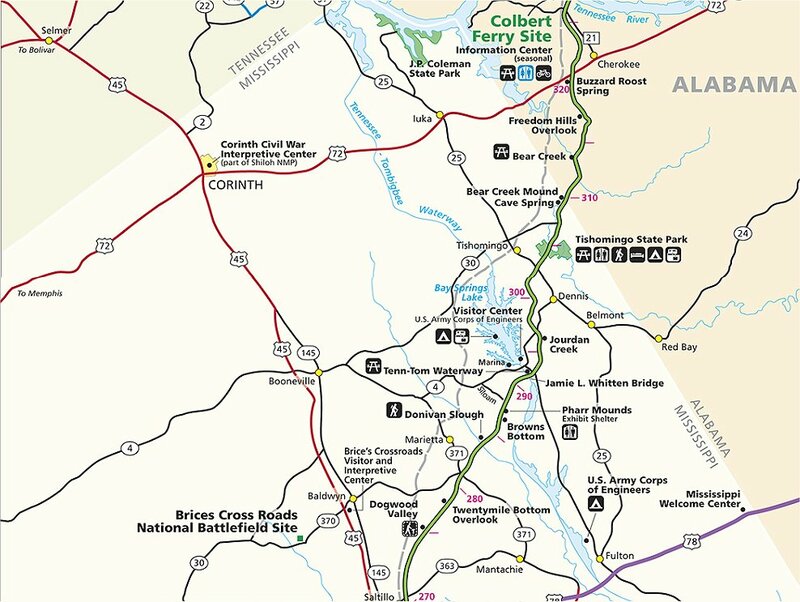 It is a man-made connection of 16,000 miles of inland rivers directly with the Gulf of Mexico’s Intercoastal Waterway. 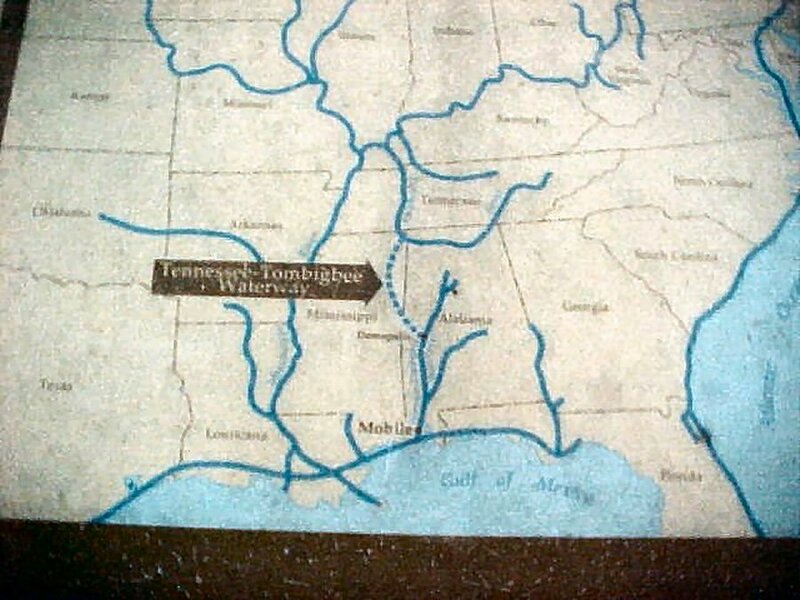 Its construction has been traveled, surveyed, planned and debated for over 400 years (DeSoto used this basic route to get from Florida to the Mississippi). 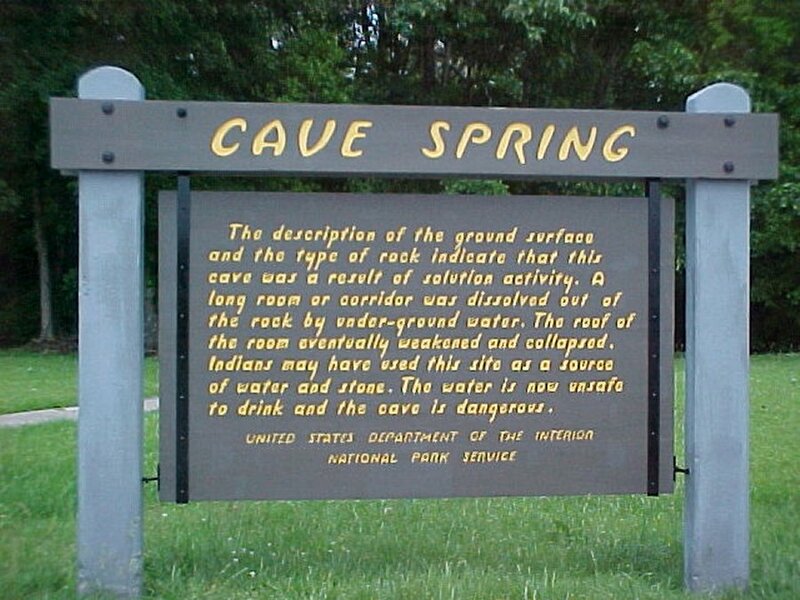 It was completed in 1985 – it is only 15 years old! It is the single largest construction project in the world, well over ten times the size of the Panama Canal. 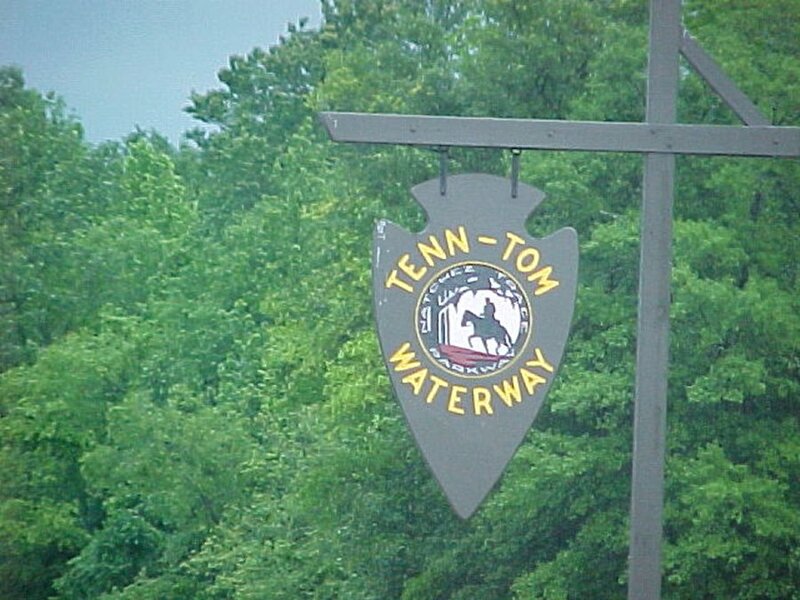 Entrance sign to turn off for the Tenn Tom Waterway. 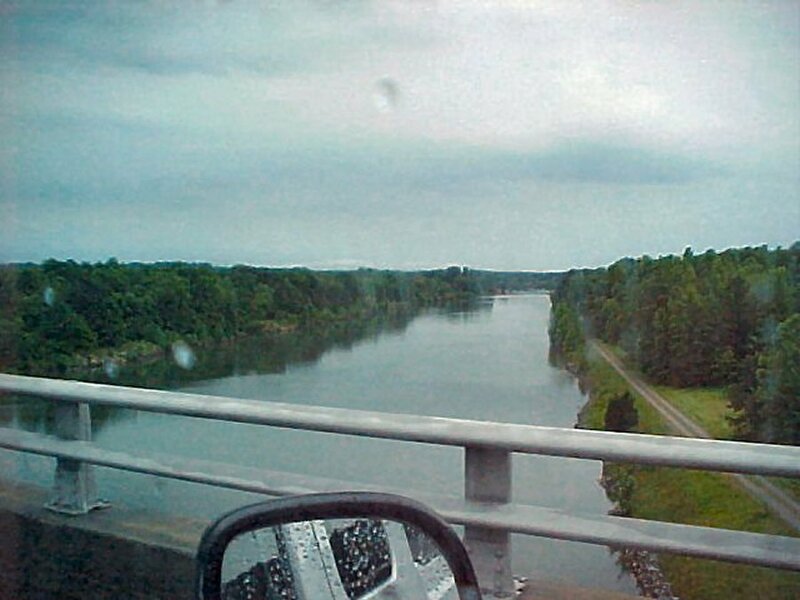 Tenn Tom Waterway (canal linking Tennessee River to Tombigbee River in MS with access to Gulf of Mexico. 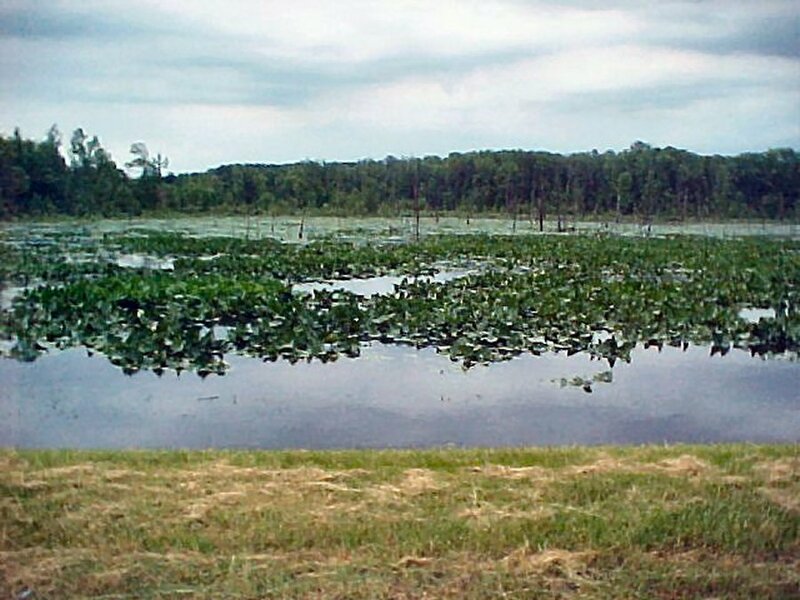 Big lake/swamp next to turn off. Rather pretty scene! Hmm should we enjoy a picnic lunch? Think not! 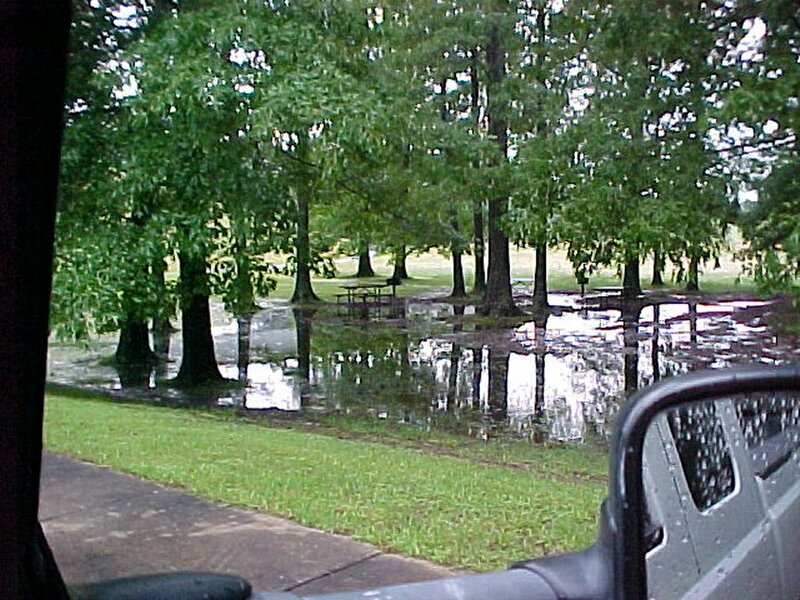 rather flooded. 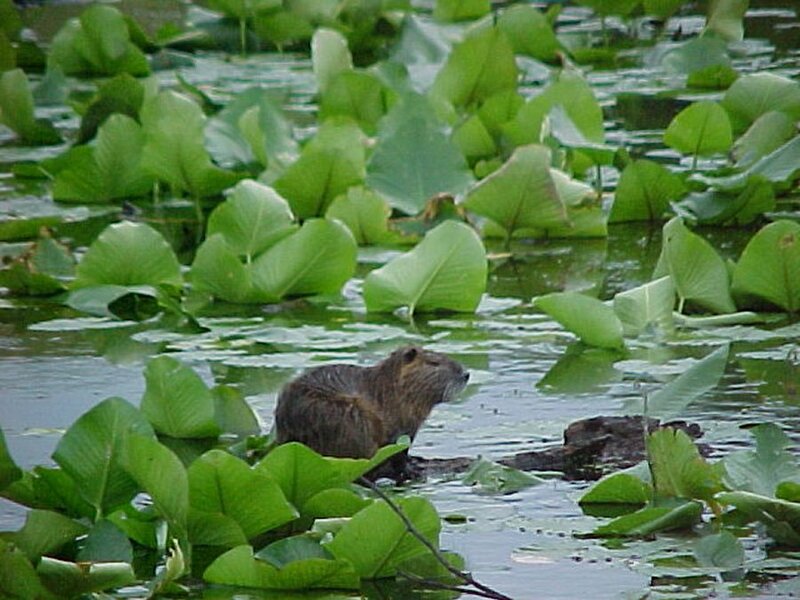 There are two small beavers in the lily pads. 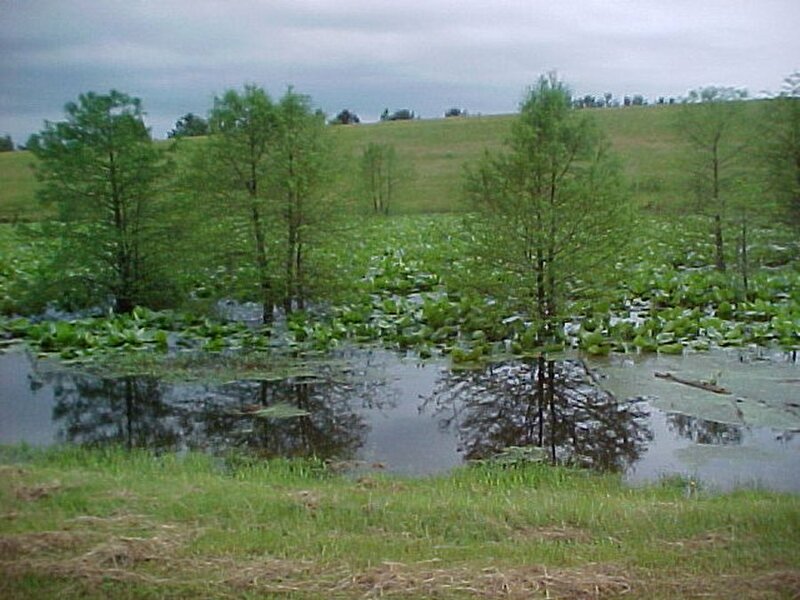 The beavers were in this pond. 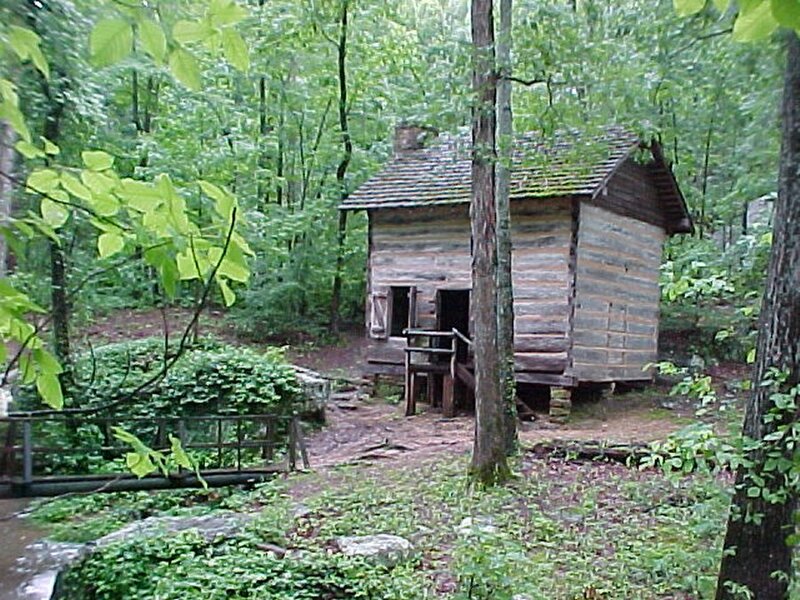 A little log cabin in the park. 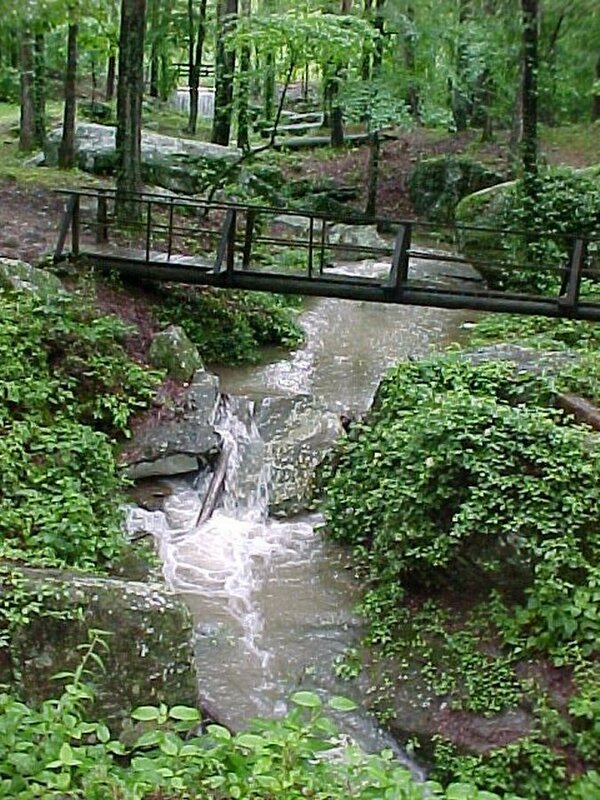 Waterfall next to the log cabin. 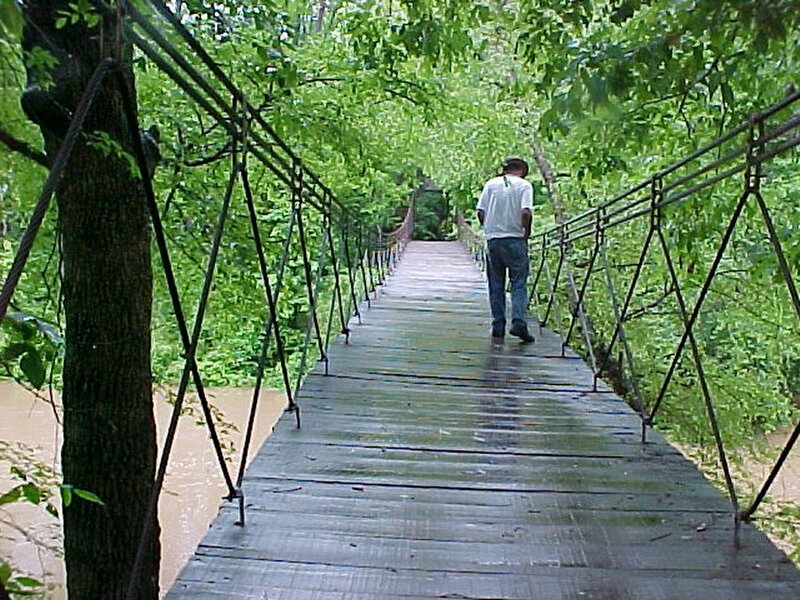 A swinging bridge. 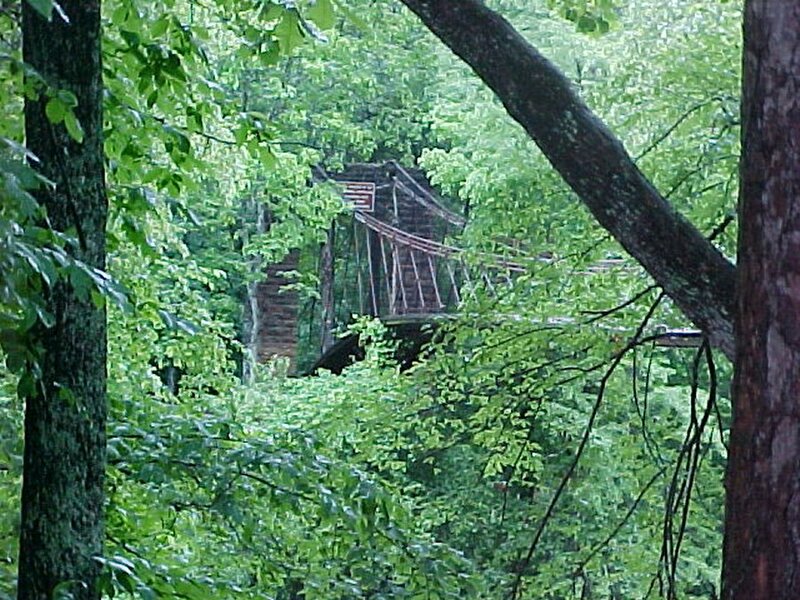 Built in 1939 the sign says no more than 5 people on the bridge at a time. 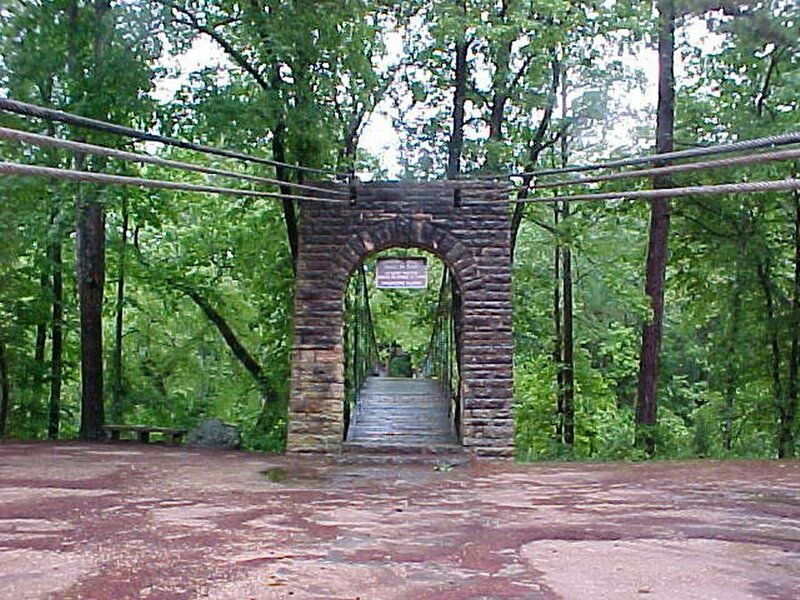 Back entrance to the swinging bridge. A cable is threaded all the way across the bridge, a guy told us it is usually just a creek. 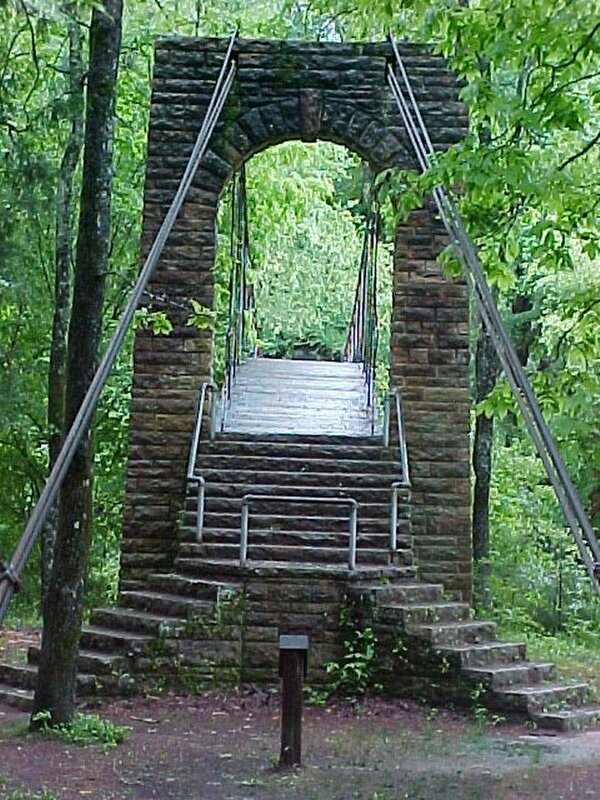 Cool old swinging bridge front entrance. 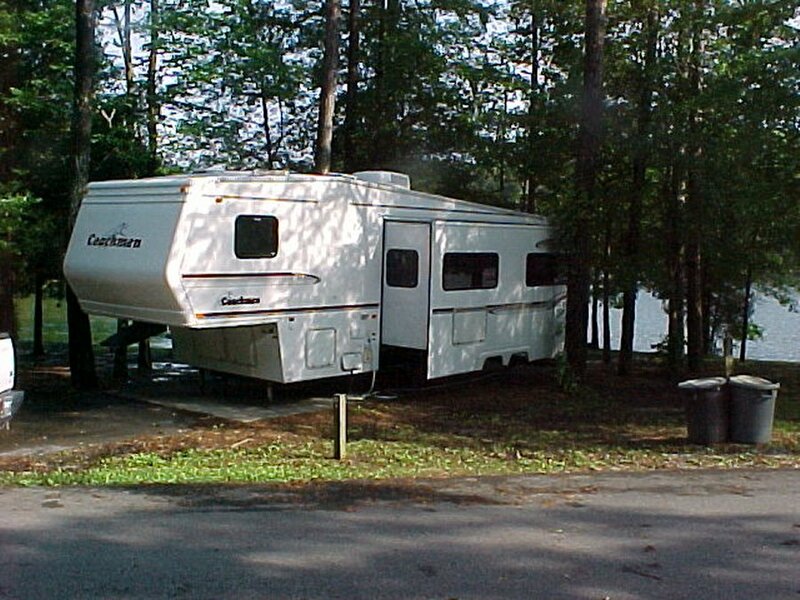 Our site and the lake. 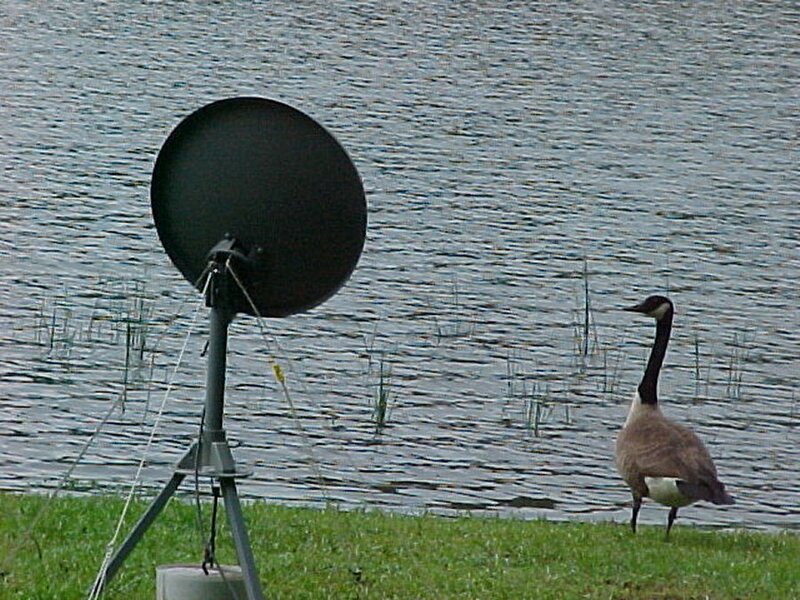 I set up the satalite dish six feet from the water, now its only two feet from the water. 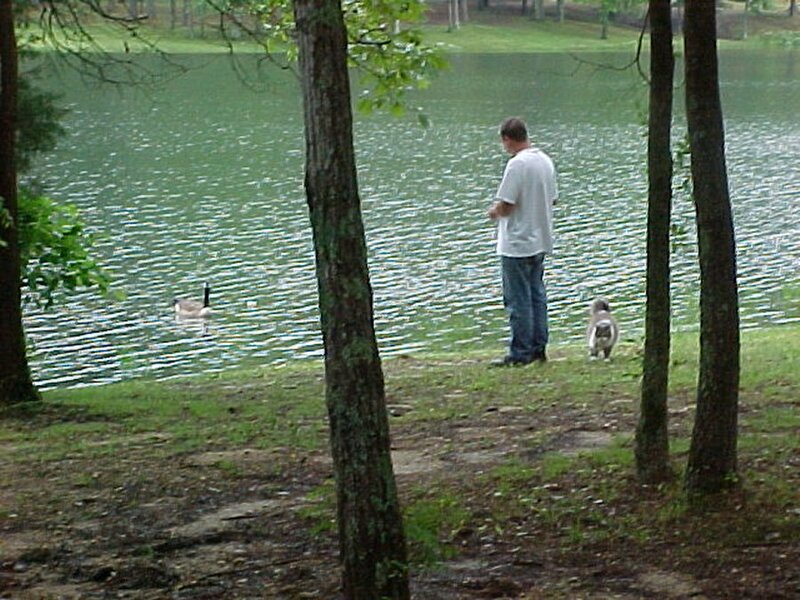 David and Sampson feeding the goose. This is "Lucky". Her tail looks short because it's wagging. David and Lucky heading toward the spring. 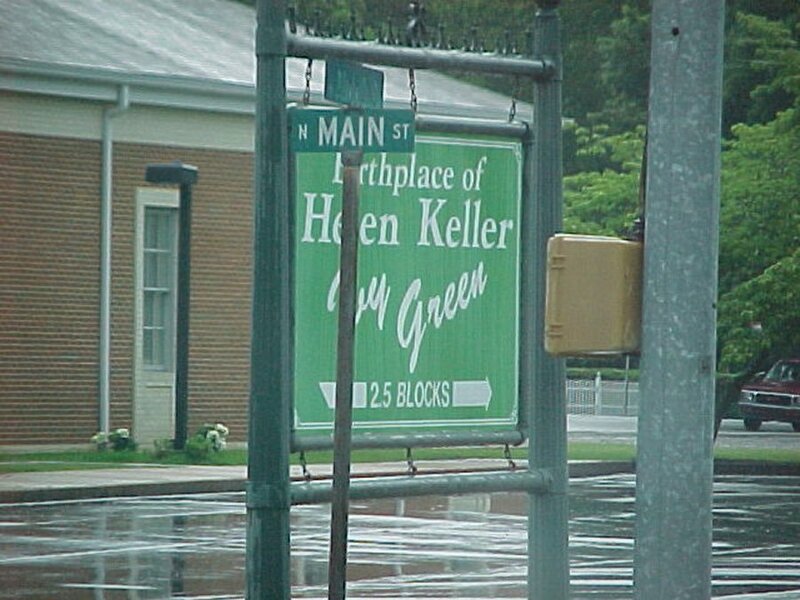 Helen Keller was born in a small town called Tuscumbia, Alabama, on an estate called Ivy Green. Her birthday was June 27, 1880, and her parents were Kate Adams Keller and Colonel Arthur Keller. 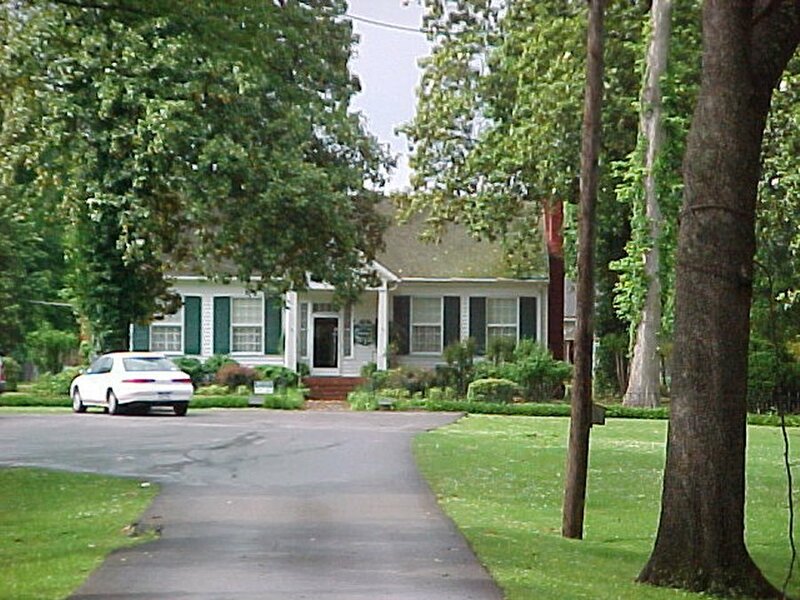 Theirs was a house full of words; Helen's dad was the editor of the local paper, The North Alabamian. But silence fell on this house in February 1882 when 19-month-old Helen became extremely ill and lost her ability to hear and see. Lucky, just sat between us while Nancy talks on the phone. After leaving Lucky at the animal shelter we explored Tuscumbia. Helen Keller born 1880 died 1968. 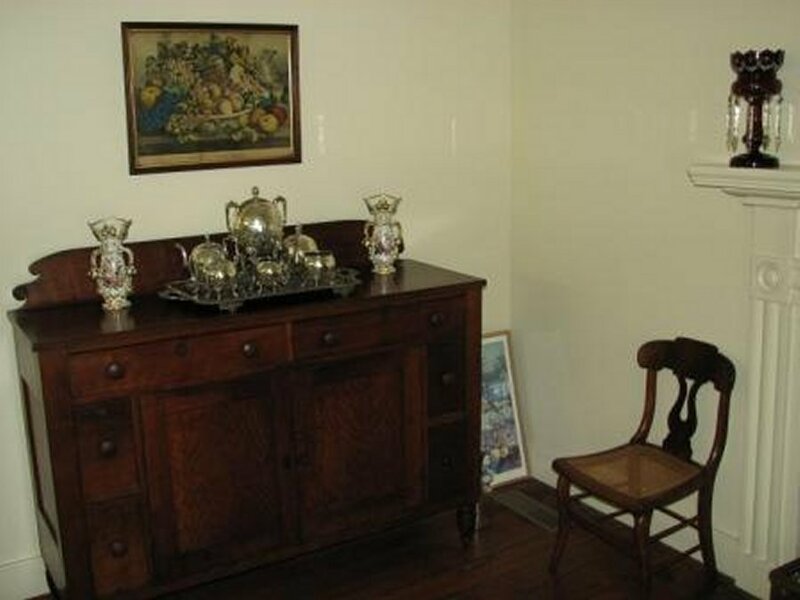 We toured the Helen Keller house called Ivy Green. 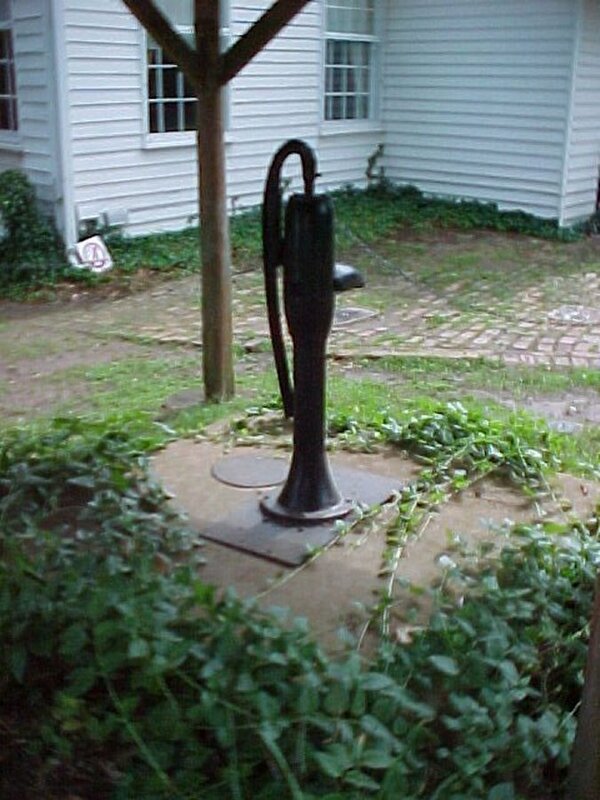 This is the water pump where "the light went on" regarding the word being spelled into her palm and the actual thing, water pouring over her other hand. 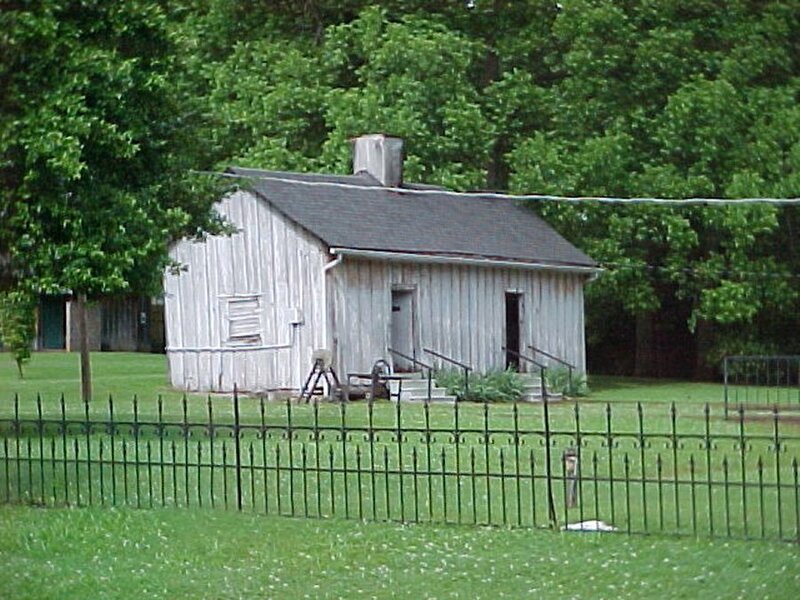 Cook house. Kitchen on the left, cook lived on the right.